Today I wanted to talk about these great products from Mont Bleu they have all kinds of items for that special lady out there. 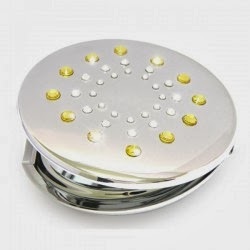 They carry everything from glass nail files, foot files, tweezers, compact mirrors, hair brushes, card holders, you would have to take a look at the site to know what I mean. I was able to review a few of their glass files small and large along with a compact mirror, and some blinged out tweezers. I love these items and I find myself using the glass files a lot these are really nice for a lot of things but I love if I mess up my polish i can go around the nail and clean up polish I got on the skin. Also the compact is nice to keep handy in your purse. 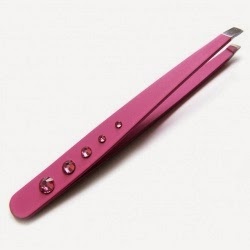 swarovski tweezers but mine were in yellow. These I love also they have a slanted tip where it makes it easier to grab the hair on your eyebrow. These are nice to keep in your purse and keep they handy. The next item I was able to review was the pocket mirror compact this is really nice to keep in my purse. This is a double mirror one side is magnified compared to the other side. It is med sized so great for on the go. 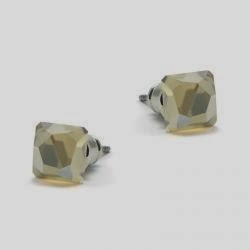 The last item that I received to review were these pretty Australian Crystal Earrings these are just the perfect size for a casual night or if you want to dress it up also. 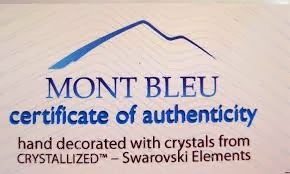 I love all the items I received from Mont Bleu and I have to say the quality of all their products is excellent and would purchase more from them in the future. If your looking for a great gift for that someone for the Holiday's look no further.